There are a variety of log scaling methods in the world, meaning that there are also several measurement units. For timber measurement, the most common measuring units are the Cubic meter, Cubic foot and, Board foot. 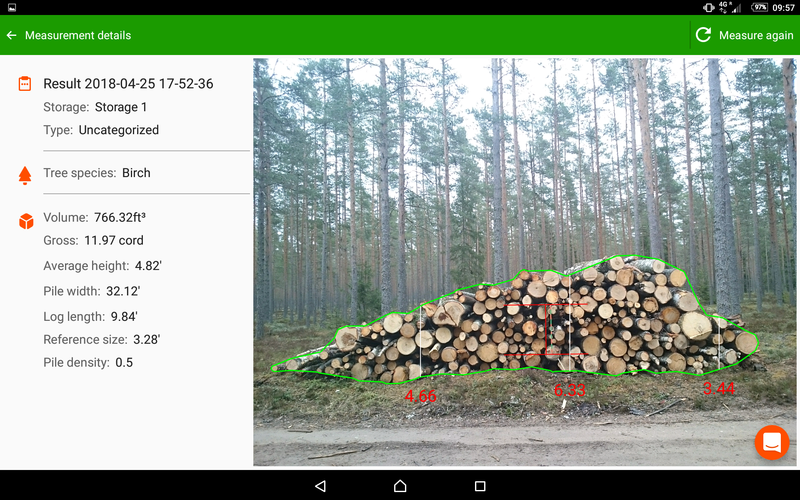 There are different units for measuring, for example, firewood and eucalyptus. Two of them are known as Cord and Stere. The cord is a unit of measure of dry volume used to measure firewood and pulpwood in the United States and Canada. A full measures four feet high by four feet wide by eight feet long (4 ft. x 4 ft. x 8 ft.) and has a volume of 128 cubic feet. The amount of solid wood in a cord varies depending on the size of the pieces, but for firewood, it averages about 85 cubic feet. The rest of the cord volume is air space. 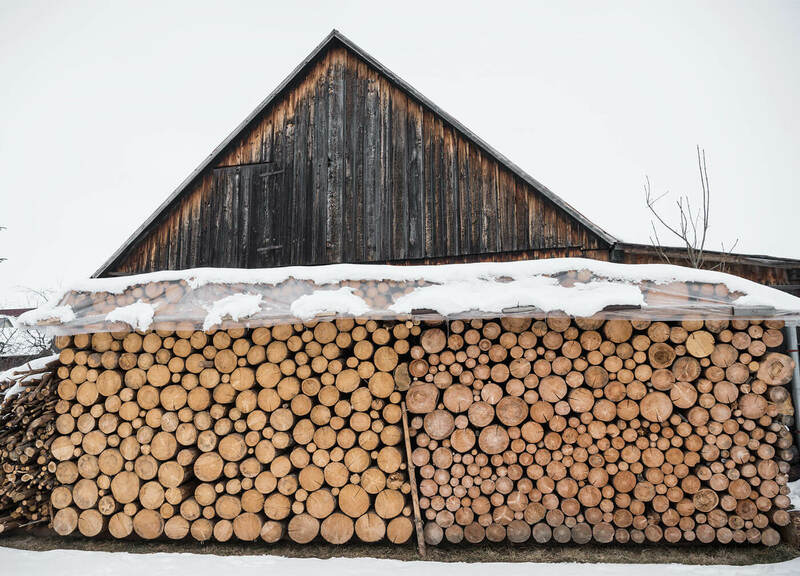 A ‘full’ cord (4′ x 4′ x 8′) is the official, standard firewood measure, but four-foot pieces are not used for home heating. So firewood is not offered for sale in the form of its official unit measurement. That’s why measuring firewood can be confusing. The name cord most likely originates from the use of a cord or string to measure the pile. Other non-official terms for firewood volume include standing cord, kitchen cord, running cord, face cord, fencing cord, country cord, long cord, and rick, all subject to local variation. Stere is not part of the modern metric system (SI). But despite that in some countries that are using the metric system, wood is measured in steres and cubic meters: 1 stere = 1 m3 ≈ 0.276 cords. If one stere = 1 m3 what is the difference? The stere is used for measuring quantities of firewood or other cut wood. The cubic meter is used for timber what is not cut. A stere is less than a full cubic meter of wood because the spaces between the wood are included in a stere. To calculate the volume of the solid wood in stere you need to multiply the stere with pile density ratio.